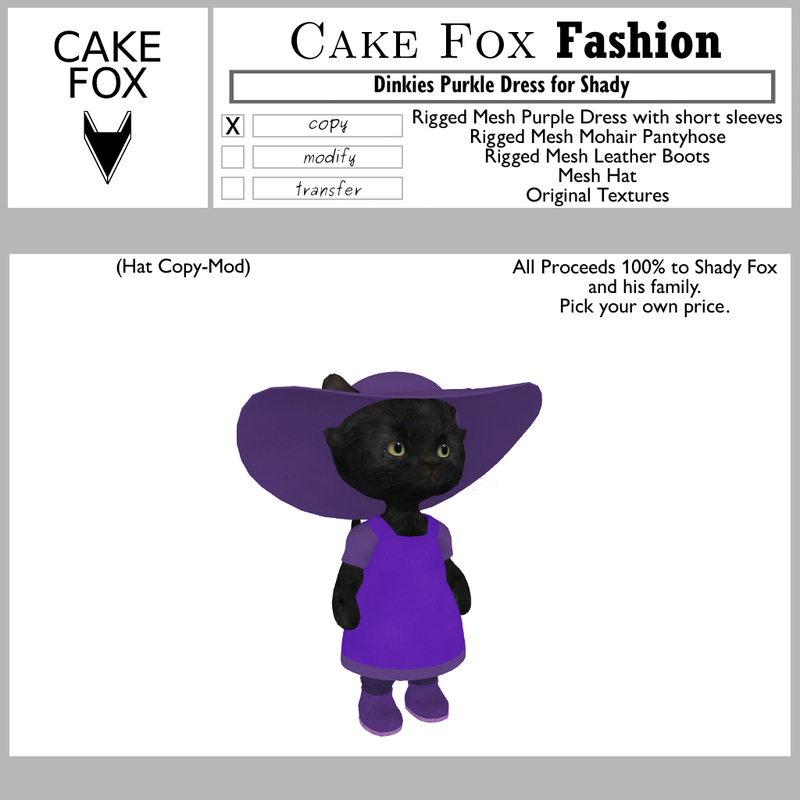 This week's SWAG is a special NEW release by Cake Fox. Dinkies Purkle Dress for Shady and Dinkies Purkle Outfit for Shady are both available at the SWAG location. You can pick the price you wish to pay. 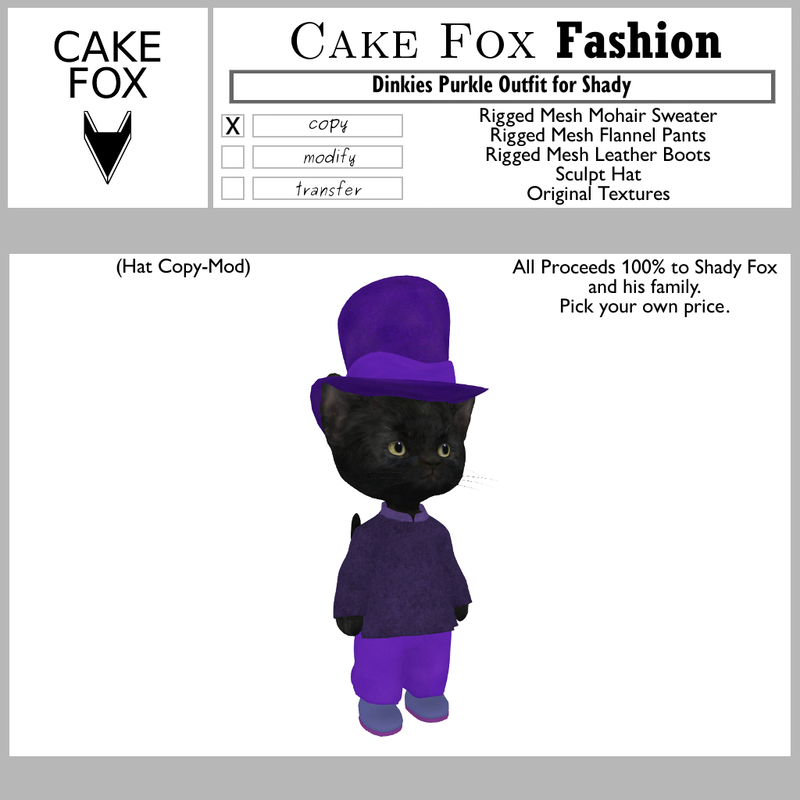 The script transfers your money to the rl brother of Shady Fox. 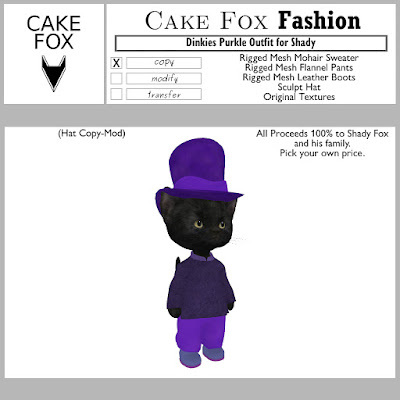 These products will only be sold to benefit Shady Fox and his family 100%, and none of the money comes to me. Shady Fox is a very beloved tiny and is going through serious health issues. Much love and well wishes to them. And Happy New Year everyone! These are beautiful outfits. Thank you so much for doing this for Shady! The candles you made for him are lovely and the prayer above them is a perfect expression of my hopes for him -- that he follows the light wherever he needs to go! They are burning in several places on my island and I hold them in my heart all the time. I think you so much. And I meant THANK, not "think"!